♪ I want my... ♫ I want my... I want my ZTE ♪... ...stuff! ThankZGiving starts early this year with an insane Black Friday giveaway on Twitter! Starting Wednesday, November 22, phones, accessories and Z-Community swag will be up for grabs. If you haven’t already, head on over to Twitter and follow @ZTE_Community and get ready for our biggest giveaway yet. It’s just our little way of saying thank you for such a wonderful year we’ve had on Z-Community. Winners will be announced on Sunday, November 26, 2017 on Twitter. Eligible to residents of the US only. Prizes are subject to availability. Prizes will be shipped within 2 weeks after the giveaway has ended. 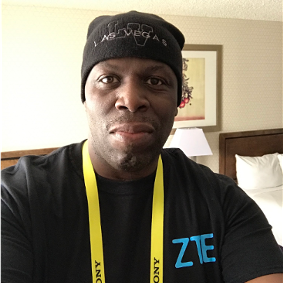 You must be following @ZTE_Community on Twitter and complete the asked of tasks to win. Winners are chosen at random. One prize per person. Winners will be contacted via Direct Message on Twitter to claim their prize. Man, I collect headphones and earbuds, and both of those look AMAZING! I wonder how well they sound. #Fitness and workout with these will be sweet.